There is a lot happening on Sunday. 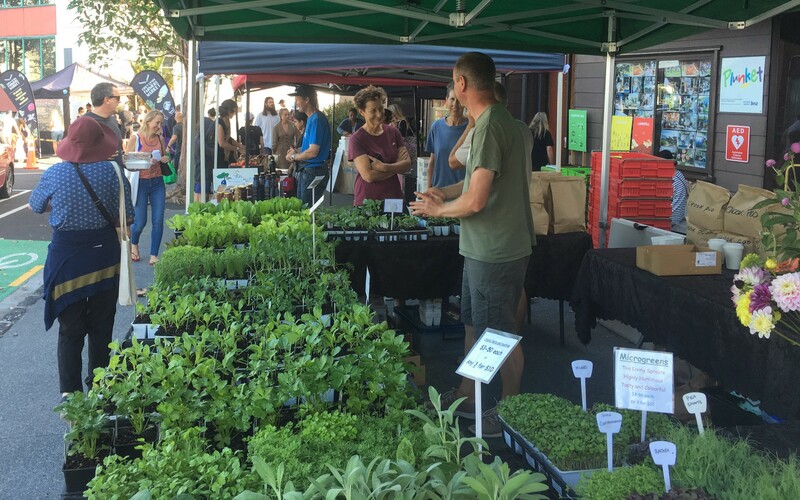 As well as our weekly Farmers Market, Jam on Toast is highlighting all the great things that happen Grey Lynn Community Centre, and the Grey Lynn Car Boot Market is on outside the RSC. Great news – Jersey Girl Organics A2 Milk milk will be back at our market…. Get in early for that. The Sharpening Guys will be there if your knives, scissors, secateurs need honing. Spray-free lady fingers bananas (from Ngunguru) and fruit jellies are also new this Sunday. As usual, we have great vegetables. 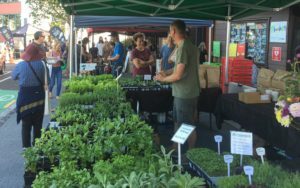 George’s Gardens has a wide range of fresh, locally-grown vegetables, and some fruit – most of it is spray-free. If organic is important to you, Fresh Gardens have certified organic leafy greens. And it is always interesting to see what is on the community table from local gardens. You will also find: Amino Mantra vegan patties, Pirie’s Butchery, Salmon Man, Il Casarocheeses, Zeki’s Turkish Bakehouse & Cafe breads and snacks, Brunch Box tea and cakes, Not Milk nut milks and vegan chocolate mousse slice, Something Big is Brewing NZ Kombucha, Paradise Lost flowers, The Coffee Store, Captain Crêpes and Saattveek tasty vegetarian food. Come and talk to the wonderful people who grow and make these nutritious and delicious foods.